The Shelley Bunk Bed by Verona features a traditional and simplistic design and offers two different levels of sleeping surface which makes it great for those households with more than one child. The traditional and fun design will be a big hit with the children and is a great space saving solution too. 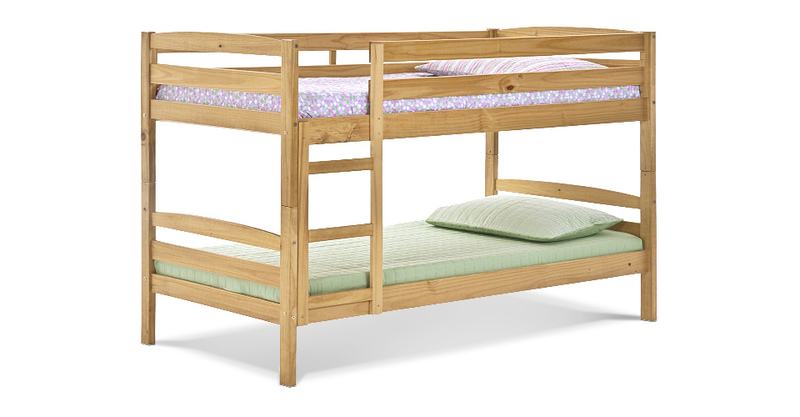 The Shelley Bunk Bed by Verona is made from pine offering a long lasting bed frame design. Please quote this Products's code 81026B to speed up your query if related.